A synthetic variety (S.V.) result of a three way cross-bred between Sweet Seeds' best indicas, BlueBlack x Maple Leaf Indica x White Rhino. The synthetic varieties share with hybridised varieties an objective to obtain the vigour of a hybrid and to give homogeneity to its descendents. Its taste is intense and sweet like caramel as is the indica strain with a hint of an earthy flavour that comes from the presence of the blueback genetic. 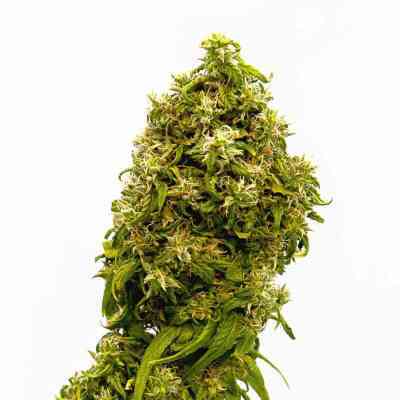 Ideal for indoor growing, it has typical indica structure, huge central buds and rich lateral branches. Usually favourite with customers who buy for medical use, it has high levels of THC and enough CBD to induce a narcotic and physical “high”.